In Connecticut, nurse practitioners are state-licensed as advanced practice registered nurses and nationally certified as nurse practitioners. They are educated and trained to diagnose and treat acute illness and chronic conditions. They are qualified to treat medical conditions independently and they usually practice in ambulatory, acute and long-term care as primary or specialty care providers. The West Haven Medical Group division of PACT includes more than 50 nurse practitioners who specialize in managing patients in medical offices, hospitals, skilled nursing facilities, assisted living facilities and in the comfort of a patients’ home. These nurse practitioners also collaborate with physicians to support patients through transitions of care by providing continuity of care, reducing medical costs and avoiding unnecessary hospital readmissions. These nurse practitioners take a patient-centered team approach to patient care, focusing on patient quality of life in skilled nursing facilities and assisted living facilities throughout Connecticut. In the medical office setting, the West Haven Medical Group’s nurse practitioners provide high-quality, patient-centered care by managing acute and chronic medical conditions and focusing on the patient as a whole person. The nurse practitioner works with the primary care physician to manage the patient’s state of health and coordinates care to create a resource for the patient to refer back to as they transition through care. In skilled nursing facilities, nurse practitioners manage acute and chronic illness in collaboration with the healthcare team. The advanced clinical assessment and intervention provided by the nurse practitioner for sub-acute rehabilitation patients helps shorten the length of stay for these patients. Long-term patients benefit from individualized health assessments focused on maintaining daily living activities and quality of life. In addition, wound care certified nurse practitioners conduct wound rounds with a holistic approach. Nurse practitioners provide education to patients, families and staff on end-stage disease process and expected outcomes at end of life. Nurse practitioners play an extensive role in helping patients, their families and facility staff through transitions with palliative care services. Patients residing in assisted living facilities are at higher risk for frailty, weakness and having limited mobility, making these adults more vulnerable to falls, chronic disease and disability. The role of the nurse practitioner in the assisted living facility setting is to assist patients to maintain wellness, screen for risk factors that would indicate risk of decline and intervene to maintain patients at their highest level of functioning to maintain them in the assisted living facility setting as long as possible. Nurse practitioners help patients who are homebound and extend the National Committee for Quality Assurance’s Level 3 Patient-Centered Medical Home model of care to the community. (This model is a formalized approach to organizing primary care that emphasizes care coordination and communication to transform primary care into what patients want and need.) 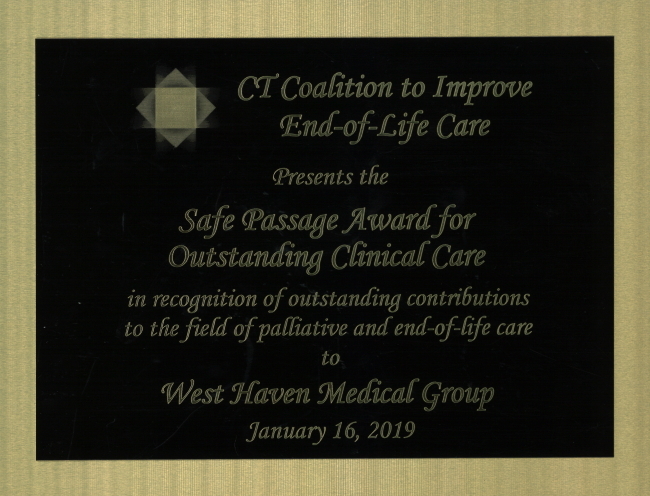 And while these nurse practitioners frequently work with West Haven Medical Group’s physicians to provide continuity of care, they can also collaborate with other physicians around Connecticut. The West Haven Medical Group’s nurse practitioners are trained on the physiology of wound healing, factors that inhibit or enhance wound healing, wound assessment, measuring, prevention and etiology (determining the cause of a condition). These nurse practitioners can also manage pressure, vascular, arterial and diabetic ulcers and are trained in management, selection and utilization of topical therapy. Nurse practitioners can also educate patients and family members on wound care and utilizing standards of care. For more information on the West Haven Medical Group’s nurse practitioner services, contact the Managing APRN; Donna Montesi via E-mail: dmontesi@pactmd.com or call 203-932-6481 x 161.